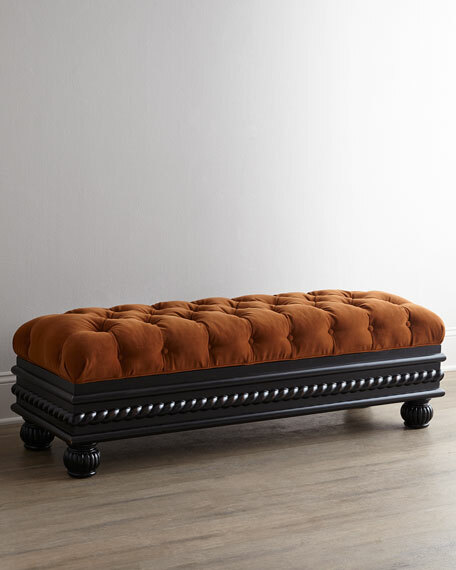 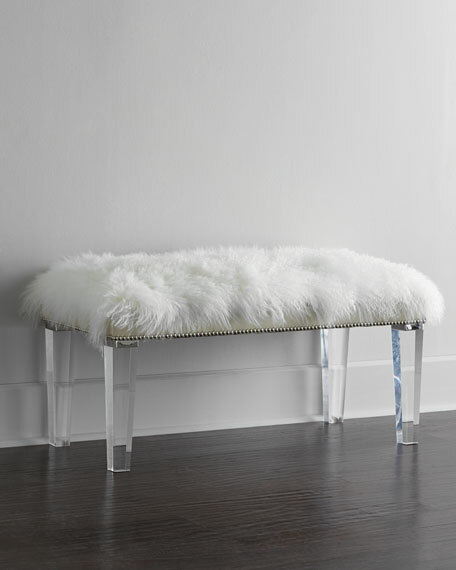 Massoud Kirabelle Sheepskin Bench, 60"
Handcrafted bench with acrylic legs. 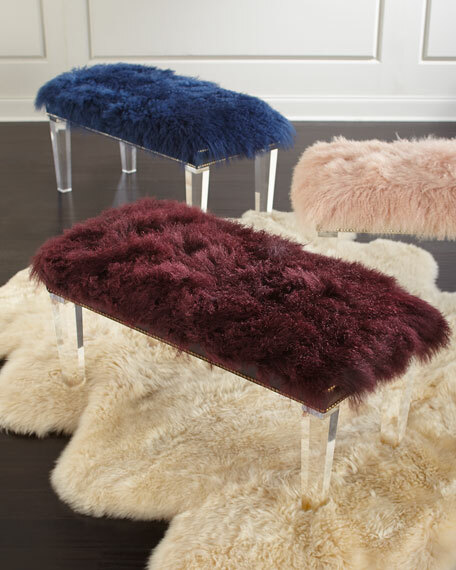 Dyed Tibetan lamb (China) top. 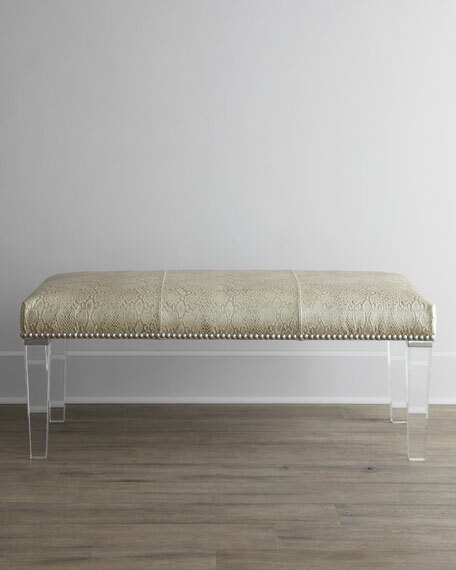 60"W x 18"D x 20"T.
Massoud Kirabelle Sheepskin Bench, 40"
40"W x 18"D x 20"T.
Massoud Kofi Hairhide Bench, 40"